LA TRINIDAD, Benguet – The unified Cordillera Peoples Liberation Army (CPLA) command strongly denounced the continuous misuse of the group by some of its excluded and expelled members to advance their own personal and political interests specifically the alleged protection of informal settlers in urban areas in the region, particularly in some parts of Piripin Bato, in exchange for huge sums of money. Abra Vice Governor and unified CPLA chairman Ronald Balao-as claimed that concerned ancestral land claimants brought to his attention the reported presence of alleged armed CPLA members who are the protectors of the squatters in their properties and upon validation by some of the members of the organization, it turned out that those who have been using the name of their group to protect the proliferation of informal settlers in private properties in the town are actually expelled and excluded members who had been doing alleged illegal acts contrary to the objectives of the group in the past. “We assure local officials of La Trinidad and Baguio City that those using the name of the CPLA for illegal activities, particularly the protection of squatters who intrude to private and public lands, are not members of the unified CPLA because the group does not sanction such questionable acts. We continue to cleanse our ranks from erring members that is why we are open to reports on the alleged illegal acts of our members so that we can impose the appropriate sanctions against them,” Vice Governor Balao-as stressed. The unified CPLA chairman pointed out the efforts are being done to erase the bad image that was tainted on the group because of the alleged misdeeds by the organization’s former officials and members who were earlier excluded and expelled but the said erring officers continue to make use of the group to gain leverage in the advancement of their questionable activities that tend to cause confusion among incumbent elected officials and residents in the areas where they do such activities. 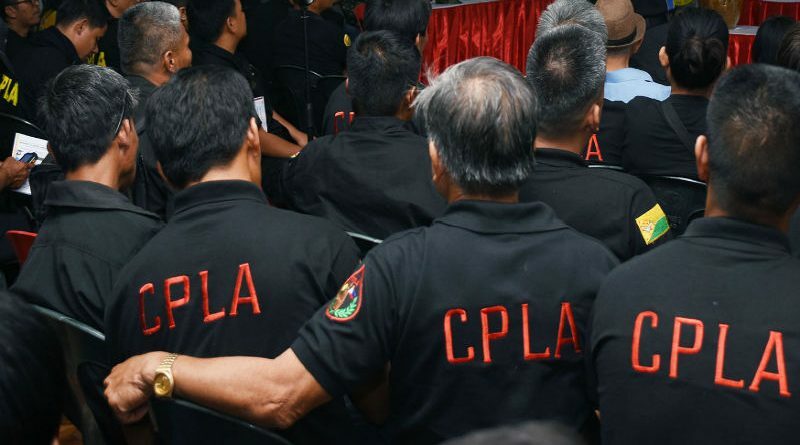 According to him, the group continues to get in touch with various provincial, city and municipal officials in the region informing them about the new leadership of the unified CPLA so that they will know that those who continue to misuse the name of the organization for their illegal activities in their areas of jurisdiction are no longer bonafide members and that their claim to be chairman of the group is already a misrepresentation of the CPLA. Vice Governor Balao-as asserted that those who continue to mislead the public regarding the real situation of the CPLA are those who had been actually using the members of the group in protecting squatters in Baguio city and La Trinidad in the past, those who had been declared persona non grata in Baguio City, those who had been engaged in land grabbing, among others, thus, people should be fooled into believing in their sugar-coated words which could result to them losing everything without nothing to gain. Balao-as emphasized that despite the confidence-building measures being done by the group’s new leadership with the government which is now gaining headway, there are some self-styled former CPLA officers who continue to exert efforts in discrediting their gains because they want to use the group for their own personal and political interests.